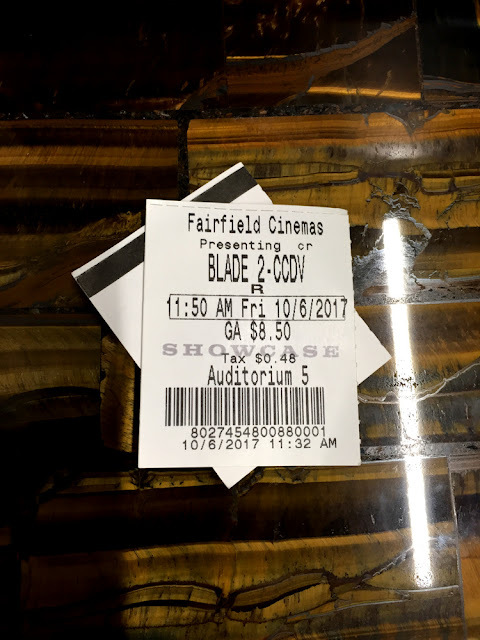 Home / Blade Runner / Yes I Did And It Was Awesome! I had to see it on opening day, there was just no way around it. But, that just didn't work out with Comic Con here and all of that. I originally intended to see it in NYC, the tickets were $30 for a regular screening and nearly sold out. You have to love the BR poster right under an all seeing eye. Kind of fitting really. If you have been following this site in anyway, you will know that I am a huge fan of Blade Runner. 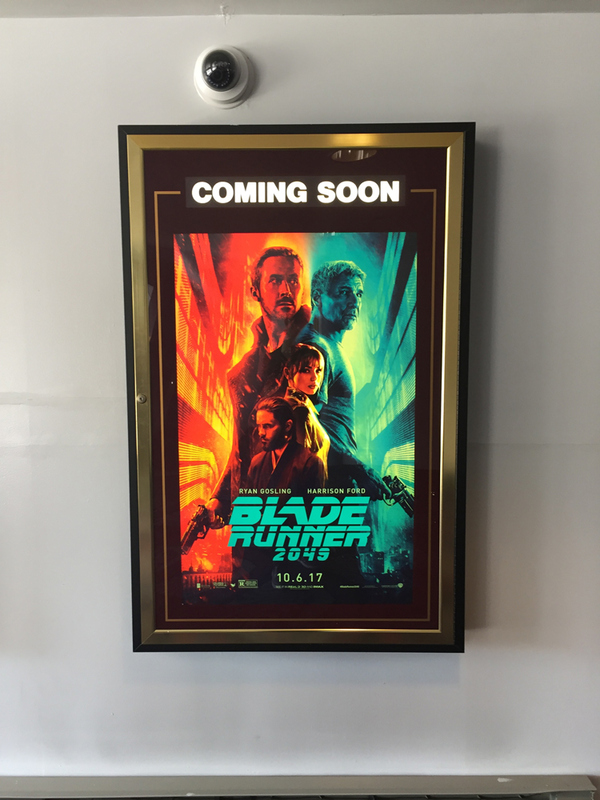 I saw the original in the theater in 1982. I know, that makes me not so youngish. However, my graphic novel was wholly inspired by this world and I have written multiple things about BR over the years. So I waited and decided to watch it elsewhere. 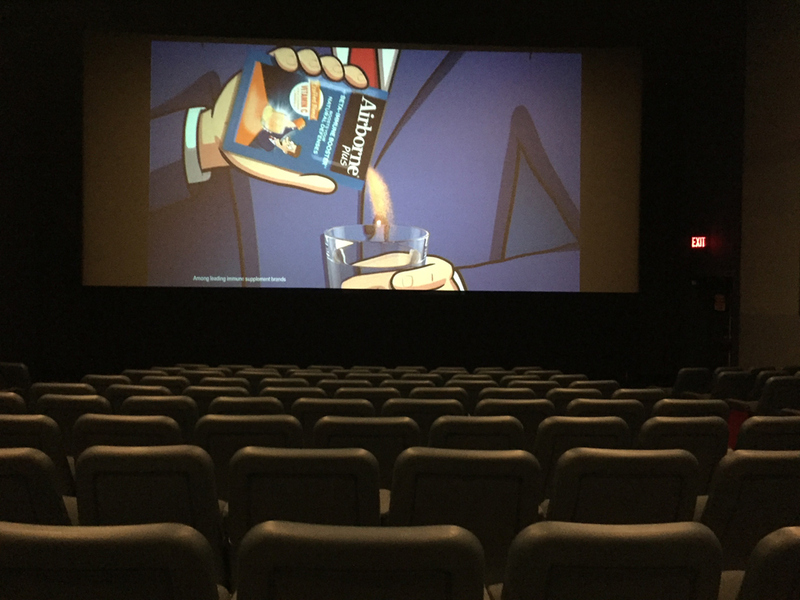 I arrived a little early for an 11:30 matinée, and to my surprise I was the only one in the theater up until 5 minutes before show time and then it was only me and two others. 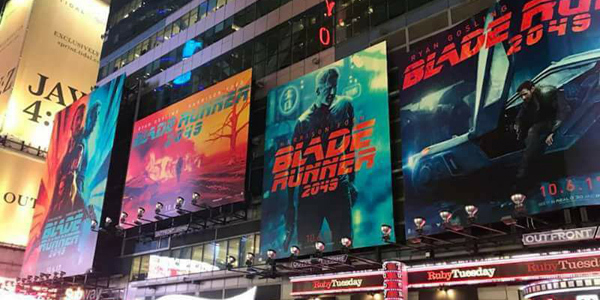 "Damn", I thought hasn't anybody every heard of Blade Runner? It's only the most amazing Sci-Fi noir film every made. I guess not, because it felt like a private screening. Bottom line is, it's great. Everything about it pays homage to the original and then some. The only thing I do recommend is to watch all of the little clips leading up to it here, and re-watch the Final Cut before you go see the new one. It will reconnect you with everything that is unfolding. My former roommate and I have watched Blade Runner countless times, and pretty much every version that was made. All in all, I think I have seen the original more than 500 times. No kidding! It's borderline obsession, no wait... It is an obsession. But I will not give a review, you have to see it for yourself. Instead, I will give you my former roommates review below. 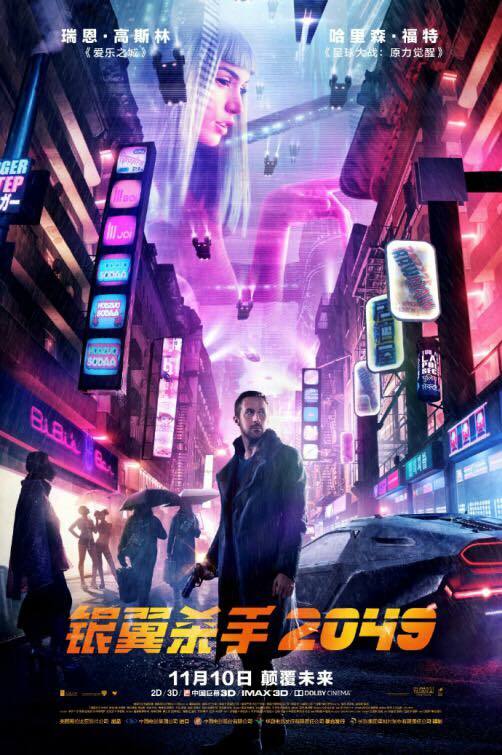 I am including this awesome BR 2049 poster from the Netherlands instead of the US version because it is freaking cool.
" I thought they did an excellent job with keeping the tone of the original. Expanding on that universe. Looks like another sequel might be in the works from the ending. Damn was it gorgeous. As pretty as it was, it didn't look that different from the first. " " You know how a sequel or prequel will look different because of modern film making techniques. The Star Wars prequels looked better than the originals. Even though they were set before those movies, that’s always bugged me. Bottom line, I liked it, might see it again. Wonder if I’ll see it enough to know the lines like the first one. " Want more? I pretty much agree with everything in this non-spoiler review below.